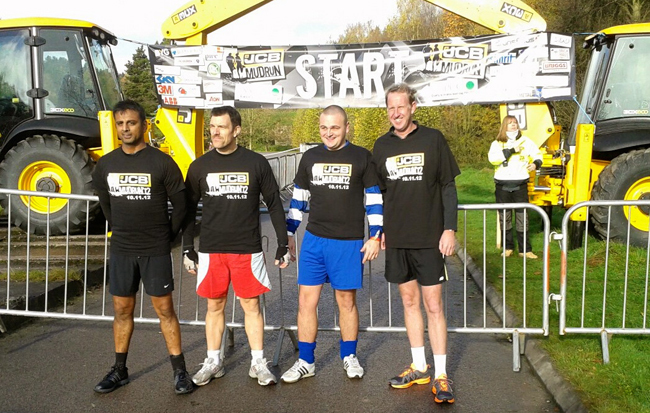 The JCB Mudrun 2012 was a huge success raising over £30,000 on the day. Pyramid’s Mud-Runners pictured here at the start of the 5 mile obstacle course. Jas, Dave, Gary and our late addition to the team Nick raring to go. The course was both mentally and physically challenging, none of us knowing what we had let ourselves in for. We were ‘mudrun virgins’. The twenty obstacles certainly were entertaining, we had to climb over, crawl under, slide down, squeeze through, monkey bar across water, wade through freezing water, each one offering a new challenge. Our favourite obstacle was the ‘quick sand’ if you stood still, you started to sink! We used muscles that we never thought we had! We finished the course in a respectable 1hr 09 mins 38 seconds. We have now set the marker and are looking forward to improve on this next year. 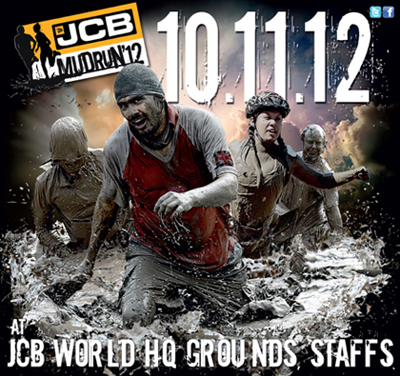 Pyramid Press are proud to announce that we are supporting The JCB Mudrun 12, to help raise funds for The NSPCC. Not only have printed the promotional material for the event, but also the label for the water bottle that will keep the runners hydrated along the 5 mile obstacle course through the wettest and stickiest mud. Our support for the event, does not stop there, we have donated 4 members of staff to set the pace for the run, Jas, Gary, Dave and Mick are extremely excited and looking forward to running, and raising awareness for The NSPCC. As a company we are dedicated to the task of eradicating cruelty to children and we are delighted to have extended our charity work and supporting what promises to a fun family day out. We will have a few pictures to blog next, so please come back and take a look. MailBig File have used Pyramid Press, as a case study, below is what they have to say about us, on their website.